Posted on Aug 26, 2011 by Appleton Downtown Inc. 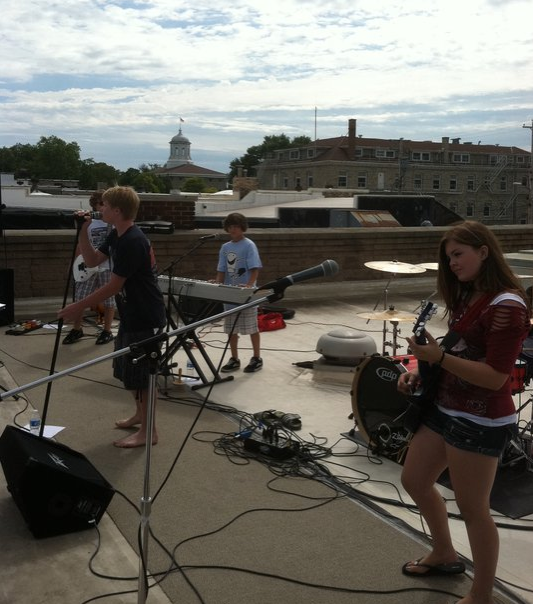 Anyone see Overdrive on the roof of Avenue Jewelers last Saturday? Thanks Overdrive! You rocked! Avenue Jewelers is located at 303 E. College Ave.